The essence here is that all you need to do is to enter the first letters of the diagram (e.g. 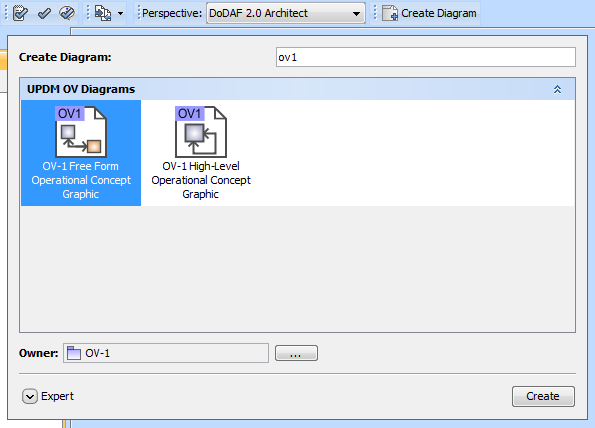 ov1 for the “OV-1 Free Form Operational Concept Graphic”) and click Create to create a new diagram. In future releases of MagicDraw, we are considering extending this dialog to be able to create elements and make these new dialogs available from the browser shortcut menu. Tell us what you think of this idea!